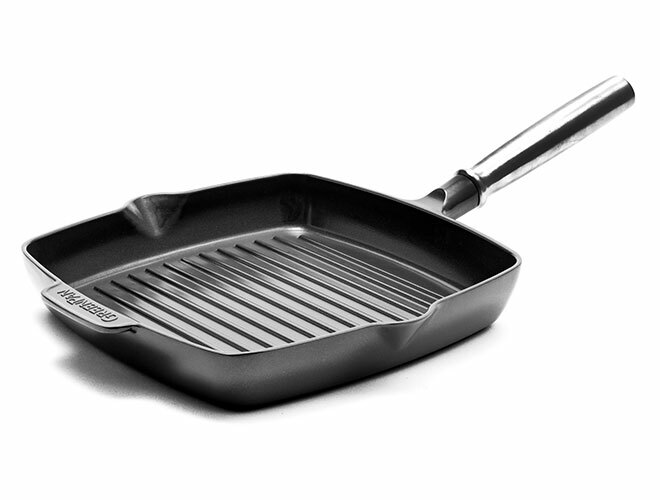 The GreenPan SimmerLite Nonstick Square Grill Pan makes grilling easy for everyone. You'll master the perfect sear marks in no time. 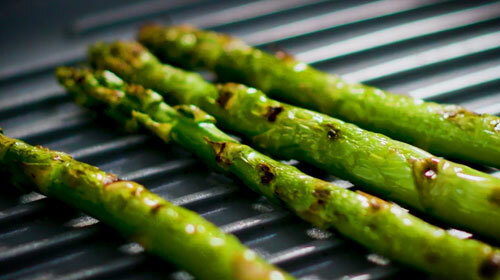 Whether grilling a bone-in ribeye, a delicate piece of salmon or freshly picked asparagus, you'll achieve the best results every time. Spouts on both sides of the pan allow fat and oil to be poured off easily. GreenPan SimmerLite offers half the weight of traditional cast iron. 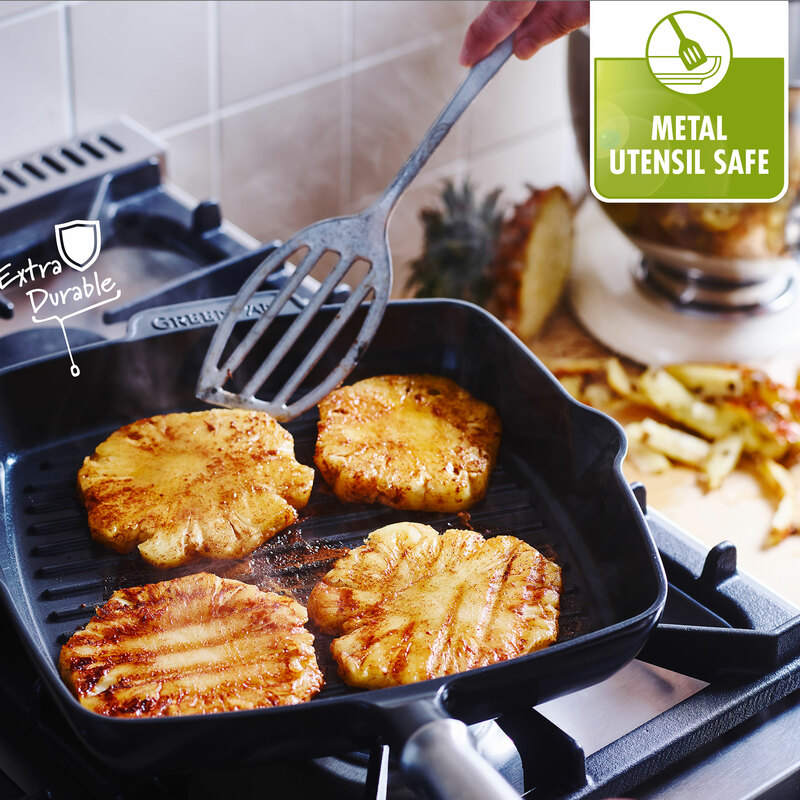 Health-conscious cooks will appreciate this completely toxin-free collection that boasts revolutionary Diamond Thermolon Pro 100% pure ceramic nonstick that's reinforced with diamonds to make the coating four times more conductive than copper, giving it incredible searing and browning. A blend of timeless tradition and innovative tech, the GreenPan SimmerLite collection offers all the benefits of a traditional grill pan with none of the frustrations. 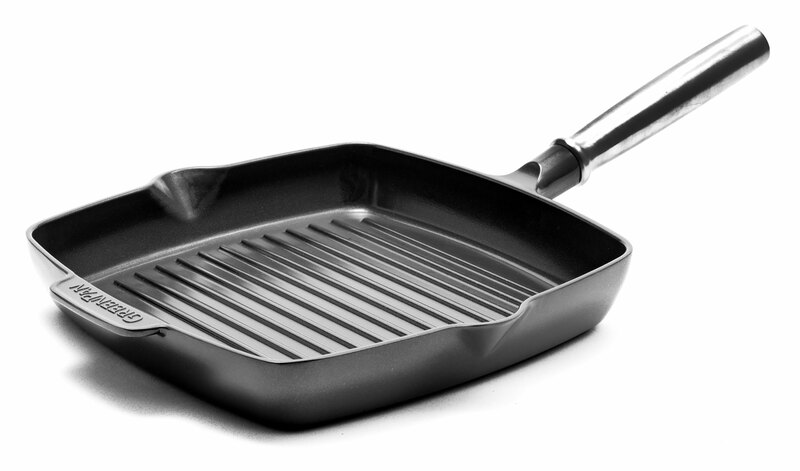 Crafted from cast aluminum, it's 50% lighter than traditional cast iron and features a durable Thermolon Minerals ceramic nonstick coating for effortless cleanup. It's even dishwasher safe.